Today, October 6th, in Egypt is the widely celebrated national holiday known as Armed Forces Day. The holiday is particularly the celebration for when we reclaimed the Suez Canal in 1973. Today, I was just curious… Will my fellow Egyptians be celebrating the greatness that is Mubarak Tantawi Sisi this year as they’ve done so every year for the last 29 years 1 year 5 months? 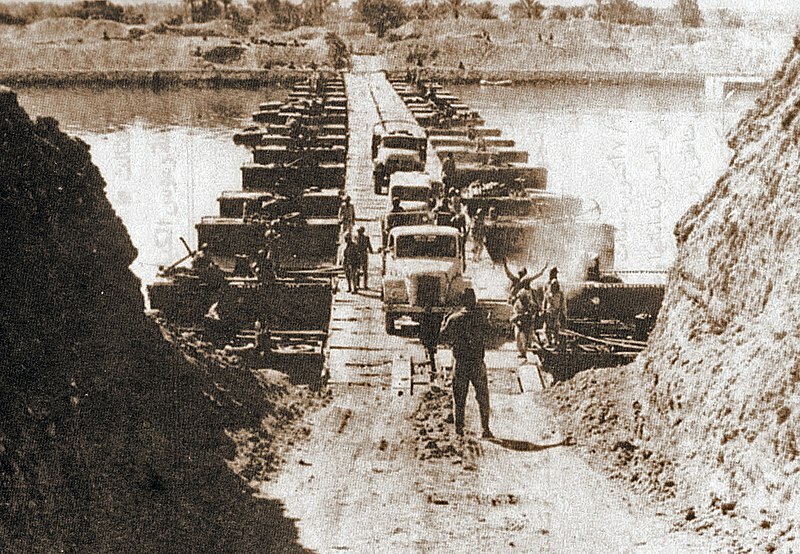 Egyptian Forces crossing the Suez Canal October 6/7, 1973. Image source unknown. Praying that my fellow Egyptians celebrate the real heroes of that day and not the phonies. Happy October 6th!